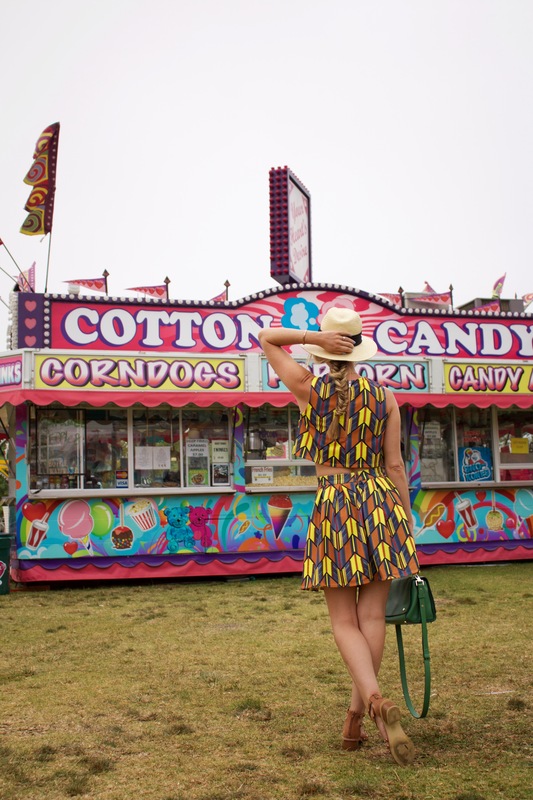 Ever worn a crop top to a carnival? Me either. 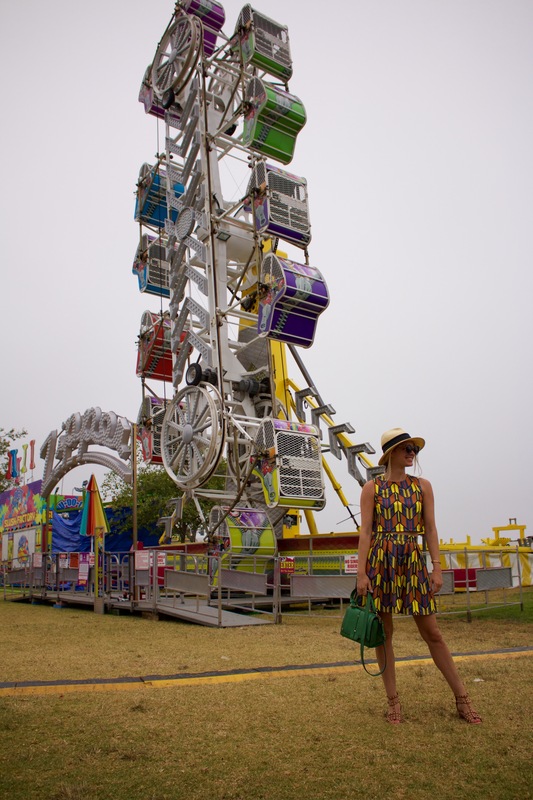 Spoiler alert: I wasn’t actually going to a carnival here, I just made Jeff pull over and shoot the look. Unfortunately the carnival wasn’t open yet. However, if there was ever a crop top and matching skirt set to wear to a carnival, this would be it. The colors are so carney-esque, don’t you think?! Now that it’s June the countdown to summer is really on. Our summers don’t really heat up until July or August but I like to stock up on essentials to get me through them this time of year. On that list is a great summer dress. This is the perfect relaxed maxi. I tied it in a knot at the hem to show off my wedges but it can also be worn with a pair of flip flops for an easy casual look. Happy Memorial Day Weekend! If you’re anything like me your weekend looks like a lot of time spent outside with family and friends… not a lot of time shopping. BUT, there are so many amazing sales happening. So instead of missing out on all the fun and heading to the mall, shop them online! Here’s a breakdown of the best…. Stripes and tassels on a coverup?! You know I snatched this up as soon as I spotted it! I live close to the beach and coverups are a summer staple for me. Cutoffs and a tank are great but can get a little dull. So I’m always looking for cute coverups to add in to the mix. This one is perfect for summer. It also comes in pink, off white and orange and it’s under $30. I also love this one you’re looking for more of a sundress. I think powder blue is my favorite color to wear at the moment. It’s soft and feminine without being overly girly. And I’m loving it paired with my cognac shoes and bag. This might be the perfect spring dress. It’s the prettiest shade of baby blue, off-the-shoulder and right around $50. What more could you want? Sadly, things this good never last long and it’s almost sold out. I’m pulling some similar options if you’re looking for more.